This story is sponsored by Buff. 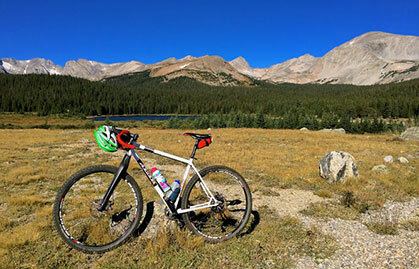 On a sunny morning in mid-September, Anton Krupicka hopped onto his bike for the 25-mile ride out to Brainard Lake, located at 10,500 feet in the heart of the Indian Peaks Wilderness in Colorado. With 5,000 feet of climbing between the starting point—Krupicka’s Boulder apartment—and the lake’s picturesque shores, most average athletes would have patted themselves on the back, then turned around and cruised the screaming downhill back to town. But Krupicka is anything but average, and the two-hour-fifteen-minute uphill ride was only the beginning of his day. Once at the lake he traded his bike for a pair of running shoes and headed into the mountains to link seven summits close to or above 13,000 feet: Mount Audubon, Paiute Peak, Mount Toll, Pawnee Peak, Shoshoni Peak, Apache Peak and Navajo Peak. After the initial class-two ascent of Audubon, the route is largely class-three and class-four scrambling—as technical as you can get short of a vertical rock climb—on steep granite ridgelines. 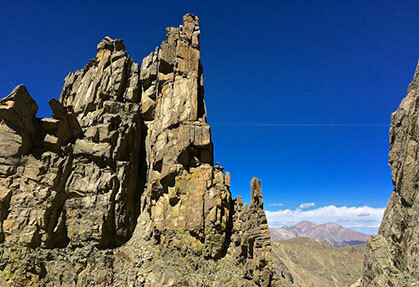 Mount Toll’s north face, shot by Krupicka during his Indian Peaks run. “That face was the technical crux of this particular outing,” he says. In this treacherous terrain, Krupicka was not following trail blazes, but allowing the rock’s natural features to guide his traverse, careful to avoid the drop-offs on either side. A fall would have resulted in serious injury and, given the remoteness of his location, possibly death. There was no trail and no guidebook, just “a very logical, geographically defined objective in an incredibly inspiring part of the world,” as Krupicka puts it. Five hours fifteen minutes and seven peaks later, he was back at his bike, and an hour and 15 minutes after that he was back at his apartment. The on-foot portion of his day was only 15 miles, paltry for someone best known for podium performances at 100-mile races. For most of that distance he was not running, but hiking, scrambling or climbing. That, however, has become Krupicka’s new normal. 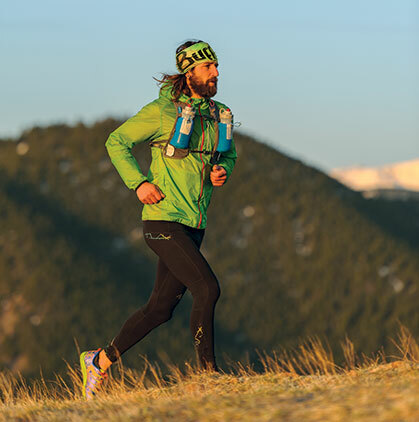 Krupicka was a student at Colorado College when he first fell in love with the mountains. It was July 2006 and a friend had driven him to Grand Teton National Park, in Wyoming. Equipped with little more than a sleeping bag and a pair of running shoes, he spent the week tackling big runs throughout the park and bivying near Jenny Lake at night. 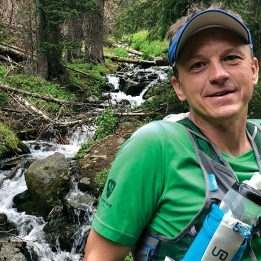 “I was doing a four- or five-hour run every day, and was just blown away by the beauty of the mountain range,” he says. 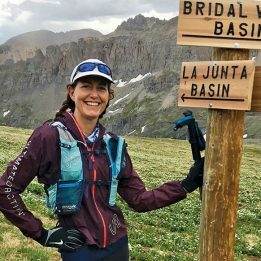 “It really crystalized a lot of my basic motivations.” Chief among those motivations was to become an ultrarunner. 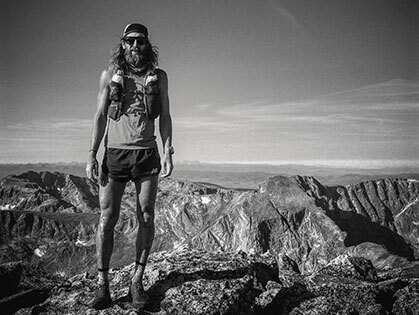 A month later, at age 23, he won his first 100-miler, the prestigious Leadville Trail 100. In the nearly 10 years since, Krupicka has become a household name in off-road running. He’s stood on podiums around the world, turned heads with his iconic, minimalist style—shoulder-length hair, skimpy shoes, often-bare chest—and become famous for his high-mileage output, which has sometimes topped 200 per week. Because of that training regimen, he has become famous for something else, too: injury. 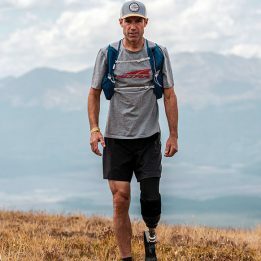 In 2011, he broke his leg, and has since battled a string of shin injuries that have impeded his performance in races and even necessitated that he take off months at a time. Now 32 years old and two months “injury free,” Krupicka is no less motivated to run—and to win—than he was at age 23. But he is also starting to discover, or rediscover, the joy of other outdoor pursuits, ones that don’t cause the same kind of stress injuries he’s been plagued with for so long. In college, Krupicka had experimented with biking and climbing. He enjoyed them both. But after 2006, running took over his life, and by necessity everything else fell by the wayside. It wasn’t until 2011 that he took up climbing again, while waiting for his leg to heal. Then, last spring, his shin injury returned, and he added skiing and cycling to his cross-training routine. He bought a bike and a lightweight ski-mountaineering setup, and focused on racking up vertical gain: upwards of 40,000 feet per week in uphill skiing sessions, bike rides and multi-pitch rock climbs. At first it felt forced. But as he pounded out the vertical miles, he began to find satisfaction and reward in those alternative activities. They have quickly become more than a back-up plan—biking, climbing and skiing, he says, are “essential parts of my identity as an athlete”—and Krupicka has become more than a runner. Krupicka now dedicates a significant portion of his week to biking and climbing, and runs only three or four days a week. He is healed, for now, but overuse injury just isn’t something he is willing to risk anymore. Even those three or four “running” days aren’t always about speed or distance—or even running. “Whenever I have a running day, I’m making sure that I’m burning it on something I really care about,” he says. 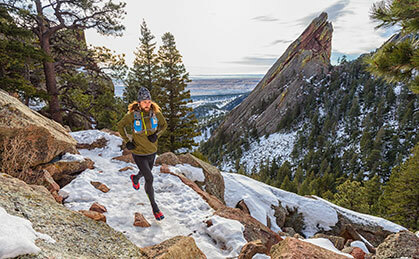 “That often means a big scramble link-up in the [Boulder] Flatirons.” Or large-scale exploratory missions like his bike/run/scramble loop in the Indian Peaks. “I go out for four or five hours of continuous movement, only covering 10 to 15 miles but with a few thousand feet of scrambling and maybe 7,000 to 10,000 feet of vertical gain,” he explains. This fall, his longest run was pacing a friend for the last 25 miles of the Bear 100 Mile Endurance Run. Even that, he is quick to clarify, involved mostly hiking. 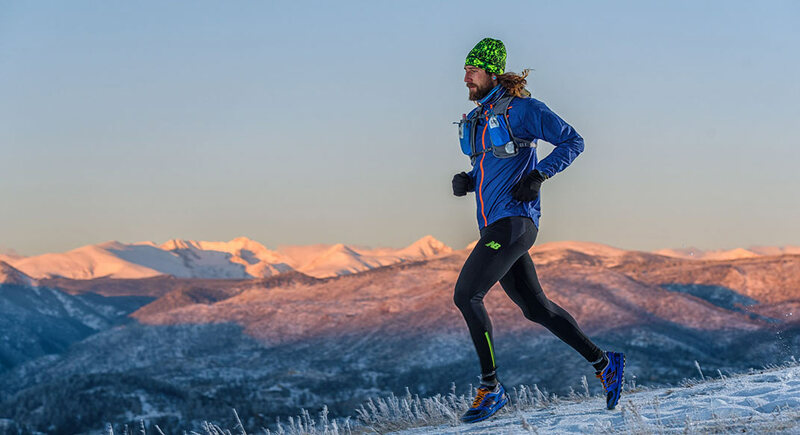 Krupicka plans to put his name into the lottery for the 2016 Hardrock 100 Endurance Run—he was accepted this year, but couldn’t run due to injury—and hopes to return to Spain’s Transgrancanaria 125K in March. But he also looks forward to tackling some ski-mountaineering races this winter, and has a long list of personal projects waiting in the mountains. He is not necessarily gunning for speed records, just lines that inspire and excite him. There are many such lines. Too many, he says, and too ambitious, to discuss in one interview. It is a philosophy that has always driven his relationship with running, and one which is not likely to ever change: moving in the outdoors, in any capacity and at any speed, makes him happy. As Grant explains, “Tony is a very driven, passionate person. He pours his entire self into the activities he pursues, which gives everything he does a totally authentic quality.” If he can’t run, he’ll scramble. If he can’t scramble, he’ll climb, or bike, or ski. If he has to, he’ll chop firewood or pull weeds. As long as he is outside, and as long as he is moving. Krupicka doesn’t regret the years that he was solely, sometimes detrimentally, focused on running, though. When asked what advice he’d give to youngsters getting their start in trail ultrarunning, he maintains that not knowing any better might have been the key to his success.